Tony’s an amazing and talented individual. I was blow away by his art work on mt forearm. It was nothing that I had imagined. I will never forget the outstanding friendly customer service I had experienced. It was deffiantly worth the 5 hour drive and I will do it again. From now on, I wouldn’t even dare going anywhere else. I know that I can trust his opinion based off the art work he had preformed on my for arm. Im sincerely grateful for gettjng the chance to work with Tony. Tony was awesome to work with. He took what I wanted into consideration, managed a small coverup and created something I’m proud to show off. I would definitely recommend him to anyone. Tony was excellent and took time to listen to the detsils i wanted in my 1st tattoo and it is everything imagined it to be. Very professional and clean. My design was small and Tony treated it like a huge piece of art. Tell Us About Your Experience: Defiantly will come back. 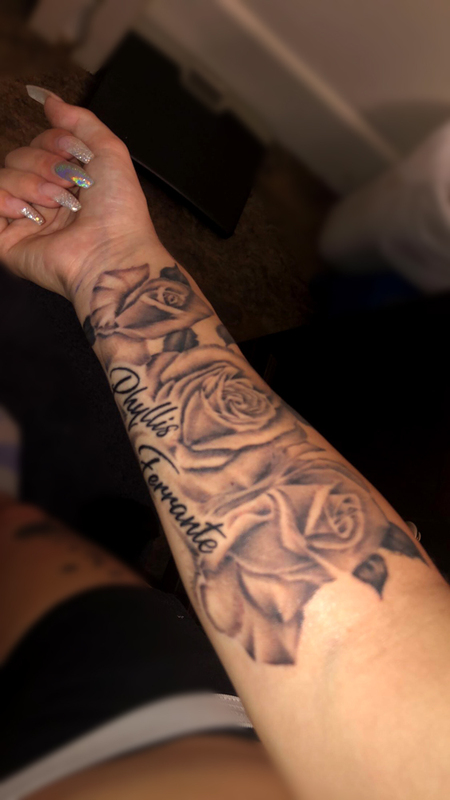 Did an amazing job and so inlove with my tattoo. Very friendly and great place to go.